I’ve found this to be a great metric to track on sites that contain site-wide (e.g. footer) links with direct contact methods. With client work it’s become default to set up conversions for these mailto: and tel: clicks. Here’s how you can do it as well. Example: Click to call us! Almost all mobile devices support this format. Opening a tel: link on mobile opens the phone app and start dialing the number. On desktop the link usually does nothing by default. On Mac the Facetime app may be opened and some versions of Skype support tel links. Example: Click to email us! Much more widely supported is the mailto: link format. This opens the default email client and composes a new message with the “to” field prefilled. Works on almost all devices, both desktop and mobile. You can also set all other fields. mailto:info@example.com Recipient. Add multiple by comma separating the values. cc= Set CC. Add multiple by comma separating the values. bcc= Set BCC. Add multiple by comma separating the values. subject= Set the subject link. Replace spaces with %20. body= Set the body. Replace spaces with %20 and add newlines with %0A. Remember: The first value should start with a ? and following should be separated by &. 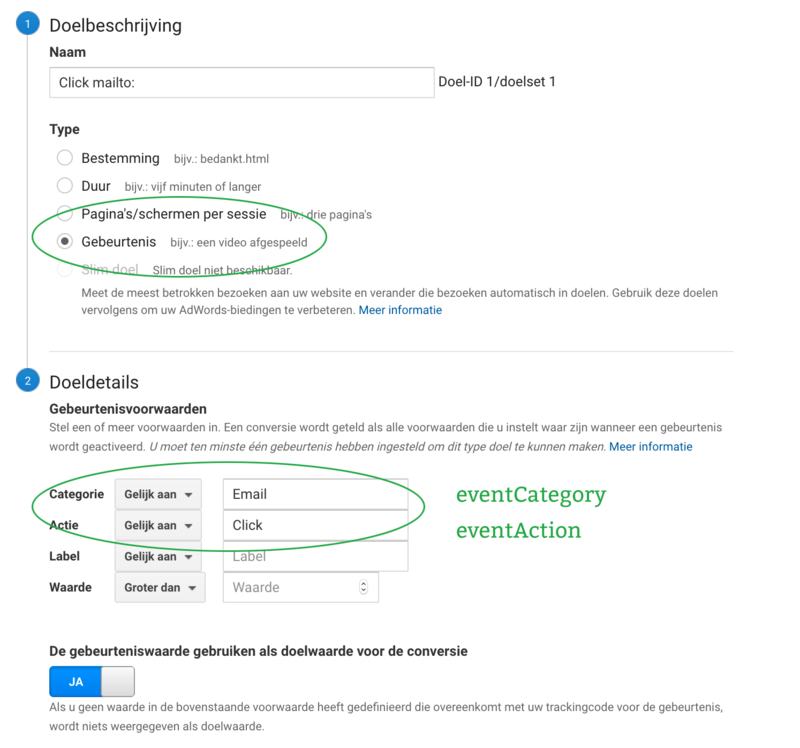 How to track mailto: and tel: clicks in Google Analytics? You can use Google Analytics events to track these kind of things. The code examples assumes you use the latest version of Google Analytics (global site tag aka gtag.js). If you want to track specific or only a few links the easiest way is to modify the link itself in your CMS. If instead you want to track all links on your website without modifying the links you can add the following script to your pages. This example uses jQuery, you can remove the first line if your site already includes jQuery. Lastly you have to set up the tracking in Google Analytics. Setting up tracking for mailto: links. Click Admin, and navigate to the desired view. Setting up tracking for tel: links. All done! You are now tracking clicks on mailto and tel links. Give it a test by click on one of the links on your site and checking the Realtime rapport in Google Analytics. This blog doesn't have a comment section. That doesn't mean I don't want your feedback but I'd rather have a more personal conversation via Email or Twitter.